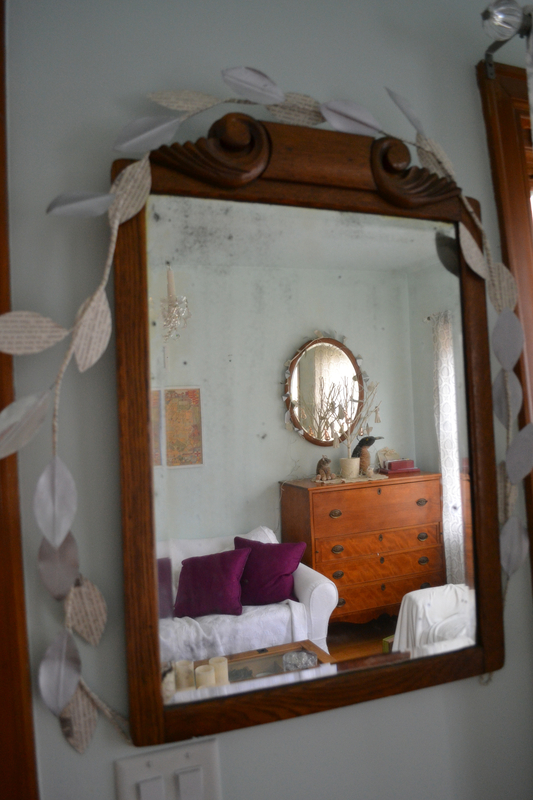 My house is full of mirrors. Sort of like a funhouse, but with more antiques. The mirrors don’t make you look fat or short, just silvery or slightly out of focus. There are some new cat-faces around here—we took in a pair of cat-sisters from a refuge in North Carolina. 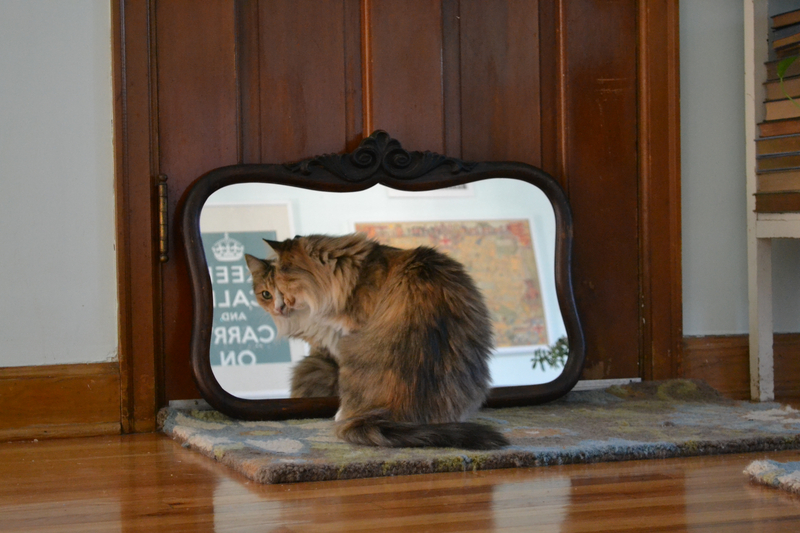 This is Alice, looking for the enchanting cat she sees in the mirror. Her sister, a calico we call George Eliot, is around here somewhere. Five cats and a dog is quite a bit to manage in 800 square feet, but not as much as you might imagine. They all find their little spots to perch, and the two new cats—though full-grown—are as tiny as they are sweet. They charmed Ricky during his shifts as a volunteer at the refuge, and, after weeks of saying no, I succumbed as well. After all, it’s long been clear that we’re running a small and thoughtfully-decorated animal refuge here. It’s work I’m willing to do—joyfully, and with delight in their company. *that phrase, which I love, comes from an article on glass by Chris Otter—I read it several years ago, but the words are always bumping around in my head.